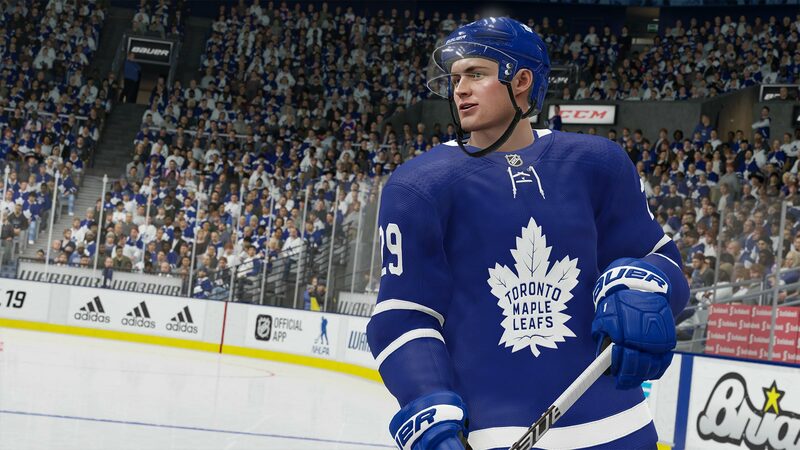 The Toronto Maple Leafs are your 2019 Stanley Cup champions, according to the annual simulation by EA Canada and the recently released NHL 19. It was 1967 the last time the Toronto Maple Leafs hoisted the Stanley Cup for real, but the last few years have been kind to the blue and white and their fans. Starting with Auston Matthews being drafted first overall in 2016, and the emergence of Mitch Marner and William Nylander, hype around the team has been building steadily. When the Leafs signed John Tavares earlier this summer, talk of the championship drought ending increased again. Now that the Leafs are virtual champs, forget planning the parade route; that’s done. Leafs fans are now booking blocks of vacation time to attend. Unfortunately, the Leafs are in the murderous Atlantic Division, and getting through the first two rounds is a big task considering the path is through the Boston Bruins and Tampa Bay Lighting. The Tampa Bay Lightning, by the way, were predicted by EA Canada to win the Stanley Cup in 2018, but they fell to the eventual Stanley Cup champion Washington Capitals in the Eastern Conference Finals. If I were a betting man, there are two predictions that I would be comfortable making from that list, and they’re both attached to Connor McDavid. As the league’s best player, he would have to get hurt to not lead the league in points and bring home another Hart Memorial Trophy. As for the Leafs winning the Stanley Cup this season, let’s just say that as a Leaf fan I’m comfortable acknowledging that their window is open, but let’s not get crazier than we already are. If you’ve yet to hit the ice this year, check out my NHL 19 review to see if it’s worth your time and money. The game is available now on both PS4 and Xbox One. I thought they were going to make this game more realistic. Some experts agree that Buffalo could make it back. They had a fantastic summer.